Brilliant weather and a supportable snow surface provided another great day in the BWRA. We did some exploring and found nooks and crannies that still had untracked snow. NE aspects with some pitch above about 9K are still sporting dry, recrystallized powder although it has settled substantially. The surface grains actually seemed surprisingly weak and faceted on a shady semi-gladed slope just above 9K, but will not be a widespread problem when the snow fires back up this week. 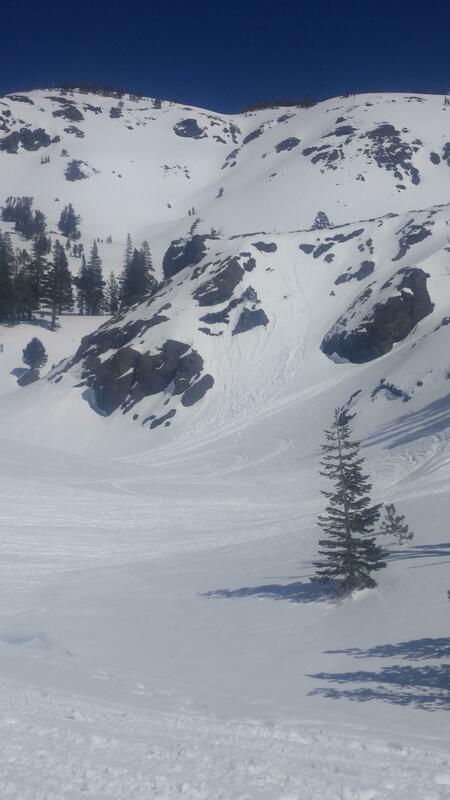 Wind packed surfaces at and above treeline on northerly aspects also seemed to be loosening up via recrystallization with our recent run of continuous clear skies. The snow surface on the south side of the compass was thoroughly saturated by mid afternoon however we didn't see much in the way of wet avalanche activity. What activity we did note was very minor and limited to steep snow adjacent to exposed rock on S-W aspects. These loose sluffs were D 1.5 at the largest and only involved the top few inches of the snowpack. We were riding on a few steep E and SE aspects in the heat of the day and did not initiate any wet avalanches. The snow at low elevation and on southerly aspects is quickly transitioning to a spring snowpack. 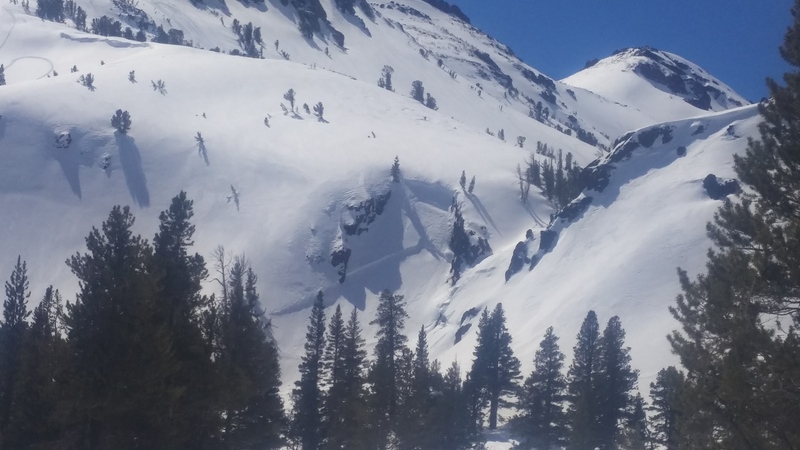 Keep an eye out for areas where there are cornices above steep, sustained terrain and remember that they’re likely to fail during periods of warm weather. When they do fail being in the line of fire is not recommended. 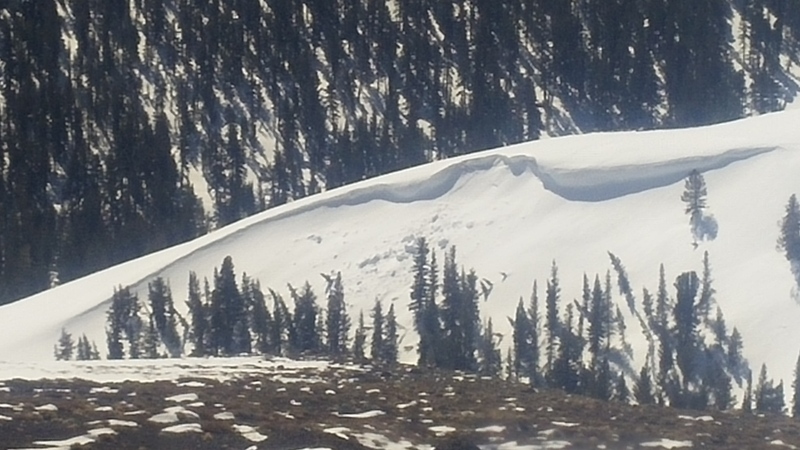 1: Old slab avalanche at the mouth of McKay Creek Cirque. 2: Cornice fall in non-consequential terrain. 3: Typical wet-loose activity from today. It felt like spring. Felt like it was around 40 degrees at 10K.